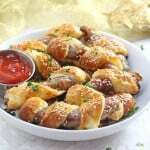 These Sausage Mummies will make a really fun addition to a kids Halloween party. You just need some sausages, pastry and edible eyes! 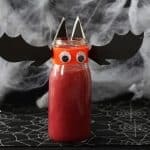 Halloween is just around the corner and if you’re planning to host a party for the kids or if you just want to serve up some fun Halloween themed treats then I’ve got lots of ideas to share with you this year! 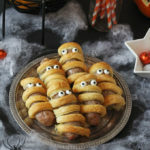 First up are these really fun Sausage Mummies! 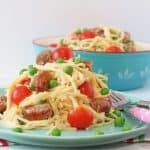 They are basically a super easy sausage roll recipe that the kids can even get involved in making. 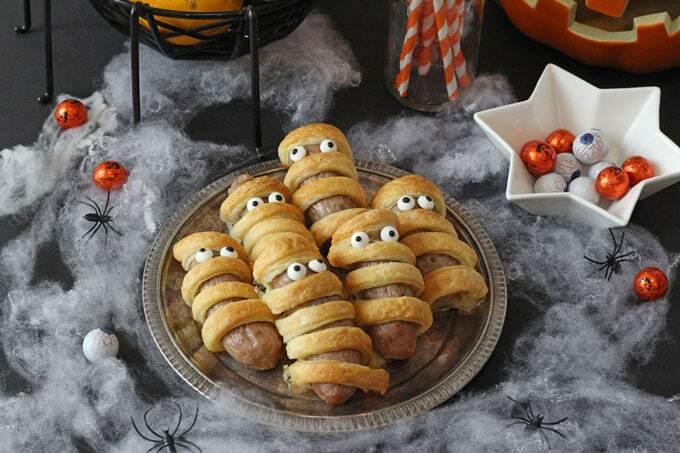 I used strips of ready-rolled puff pastry wrapped around pork sausages to create the mummy effect. They are baked in the oven and then I added some edible eyes to complete the look! You can buy the edible eyes online (here’s some from Amazon) or in supermakets and hobby stores. If you try my Sausage Mummies please do leave me a comment and a star rating below. You can also share your pictures with me on on Instagram. I always love to see your creations! 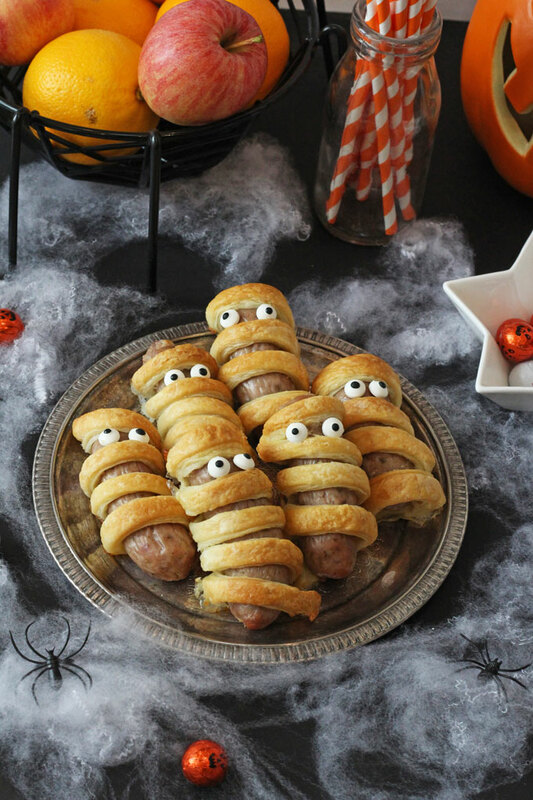 These Sausage Mummies will make a really fun addition to a kids Halloween party! You just need some sausages, pastry and edible eyes! Roll out the pasty and use a pizza cutter or sharp knife to cut six 1cm strips of the pastry widthways. Wrap one of the pastry pieces around each of the sausages, trimming off the end if it is too long. Bake in the oven for 20 minutes and then turn the temperature up to 220c and bake for a further 5 minutes. This helps to get the pasty brown and flaky. Using a small bit of honey stick on the edible eyes and serve immediately.